Often time series possess a seasonal component that repeats every s observations. For monthly observations s= 12 (12 in 1 year), for quarterly observations s= 4 (4 in 1 year). 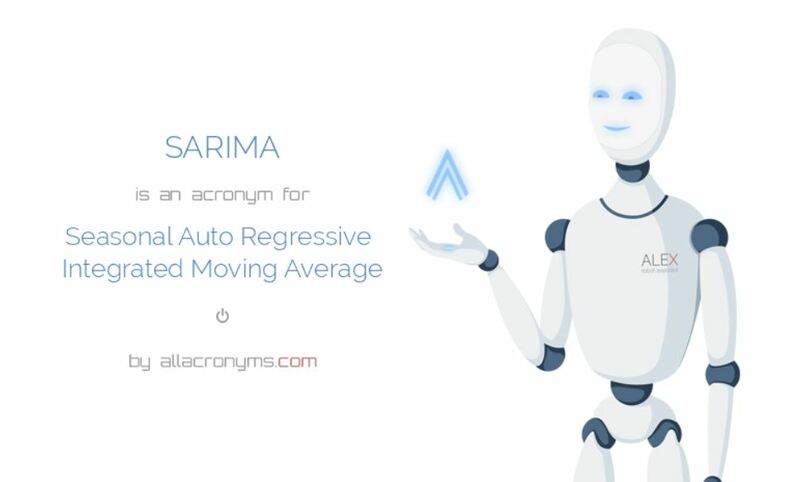 In order to deal with seasonality, ARIMA processes have been generalized: SARIMA models (Seasonal Autoregressive Integrated Moving Average Model) have then been formulated. and we write Xt ∼ ARIMA (p, d, q) × (P, D, Q)s. The idea is that SARIMA models are ARIMA (p, d, q) models whose residuals αt are ARIMA (P, D, Q). With ARIMA (P, D, Q) we intend ARIMA models whose operators are defined on Bs and successive powers. 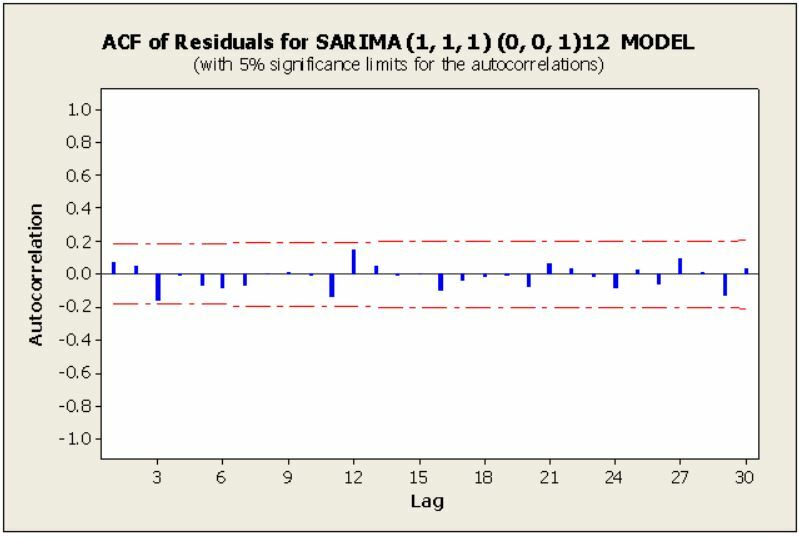 Concepts of admissible regions SARIMA are analog to the admissible regions for ARIMA processes; they are just expressed in terms of Bs powers. Xt =s Φ1 Xt−12 + at is ARIMA (0, 0, 0) × (1, 0, 0)12 model. The seasonal AR component is specified by s = 12, P = 1. So, the ACF is characterized by infinite extension. The PACF is with finite extended and takes value only at lag k = 12. The ACF decreases extremely slowly to zero, the decrease is not exponential by linear. The PACF takes value 1 for k = 1 and zero elsewhere. 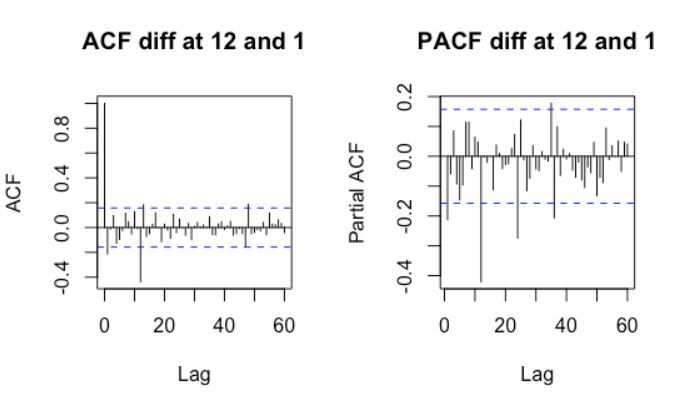 These characteristics of ACF and PACF are motivated by the dominance of the trend on the other dynamics in the series. 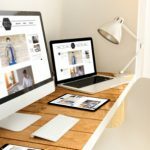 Unless the trend is removed, nothing else can be recognized from ACF and PACF (e.g. other MA or AR components).